We were the first ones who had this issue 2 days after update 2 came out and we thought that it was only an issue in our environment… VMware support did not find a solution in the call and finally we manually edited the config as shown in the article. It seems I have you to thank then! The TSE mentioned that this issue also occurred when people were upgrading to 6 or 6u1 as well. 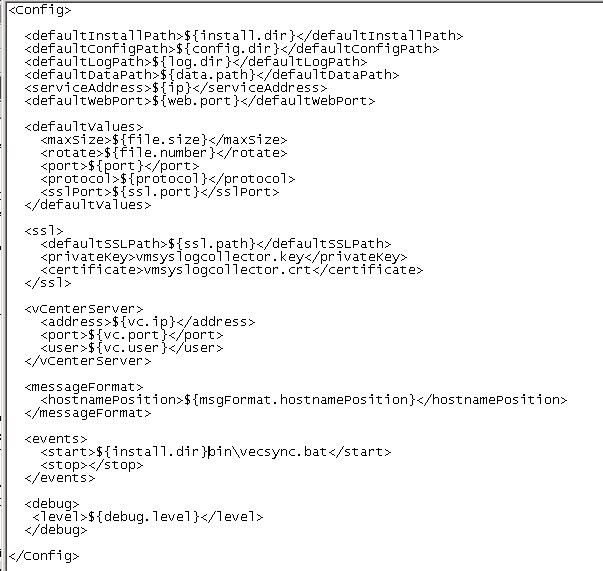 I also saw another KB for a different problem that said to disable syslog collector. What a crappy service, maybe that’s why LI is being given away with 25 OSI. Disabling the service also lets the installer complete. I saw this on several occasions with U1, but only solution from VMware support was to disable the syslog collector. Glad to have this solved, thanks!